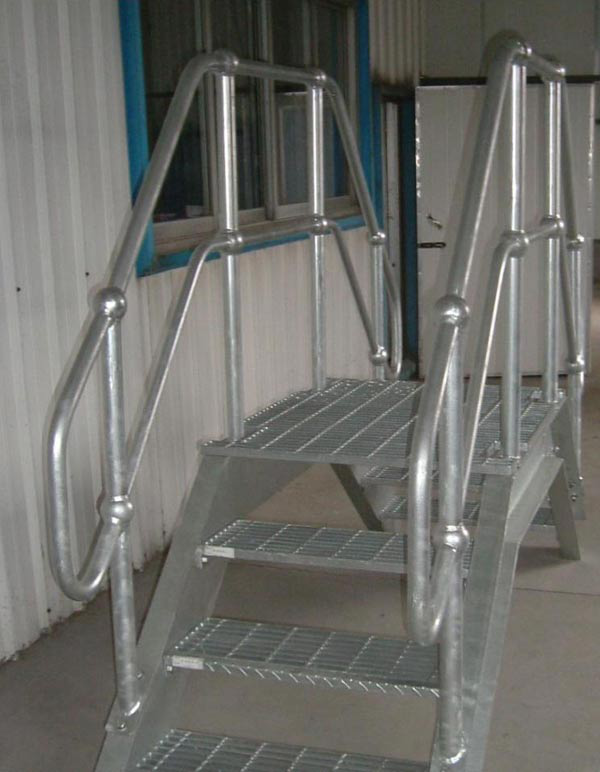 Product categories of Industrial Staircase Stepping Board, we are specialized manufacturers from China, Industrial Staircase Stepping Board, Industrial Stepping Board suppliers/factory, wholesale high-quality products of Staircase Stepping Board R & D and manufacturing, we have the perfect after-sales service and technical support. Look forward to your cooperation! Industrial Staircase Stepping Board is composed of flat steel and cross bar in accordance with a certain center spacing between the latitude and longitude twisted welding made of a Steel Grid plate products. According to the shape of the surface of the load flat steel can be divided into: flat type, tooth type and "I" font. According to the material is divided into: Stainless Steel Grating plate, carbon Steel Grating plate and glass steel grating plate. Timber packaging: packaging the lower part of the wooden side of the box to five or ten for a bundle, with twisted square steel fasteners fastening, easy forklift or crane loading and unloading. When lifting the tread of the tread of the twisted side of the steel or flat steel as a lifting point, this will damage the stepping board, the bottom of the packaging should be used as a lifting position.